Thank you to Pedro Monjo from Adobe Consulting Services for supplying the content for this article. You can find more of his content on his personal blog. Use of the Marketing Cloud ID service is probably the most important prerequisite. The idea behind the service is to use a common ID across all Experience Cloud solutions. Since these integrations link two or more products, they work only if you have the MCID deployed. The minimum acceptable code version for these integrations is VisitorAPI.js 2.0 or higher. The implementation must use RDC. If you've never heard of RDC and you have an old implementation, then migration will likely be necessary before requesting these integrations. Almost all implementations done after 2013 would have started on RDC. However, if in doubt, contact Customer Care or your Adobe representative. Both A4T and Audiences utilize the AppMeasurement library. If your Analytics implementation is still using any H-version of the s_code, you must first upgrade to the AppMeasurement library. Note that this upgrade is not trivial and can require coordinated efforts. The minimum Analytics library needed is appMeasurement 1.7.0. However, upgrading to the latest version ensures that you do not experience bugs. The minimum acceptable code version for these integrations is mbox.js 61 or at.js 0.91. As part of the ID service deployment, your company must be provisioned for the Adobe Experience Cloud. If you are currently logging in to marketing.adobe.com, your company has been provisioned. Experience Cloud organization ID: This is a string ending in @AdobeOrg, which you are already using in the MCID initialization code. You can also get it from the Administration section of the Experience Cloud. Analytics login company: If you have been accessing Adobe Analytics via https://my.omniture.com/, then you know what it is, as you are already entering it when logging in. 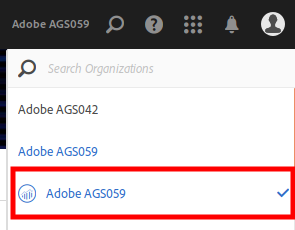 However, if you log in only via https://marketing.adobe.com/, you'll have to log in to Analytics and click the Experience Cloud organization name to find it. In most of the new companies, the Analytics login company is the same as the Experience Cloud organization name, but there are exceptions. Target client code: The easiest way to get this value is to use the Adobe debugger. Alternatively, you can use your browser's developer tools to check the network calls used by Adobe Target. Whichever method you choose, you'll see a call to a domain similar to xyz.tt.omtrdc.net. The client code is the xyz part. Analytics tracking servers: You'll need to gather all Adobe Analytics tracking servers you are using, including both HTTP and HTTPS domains. Additionally, if your implementation uses mobile apps be sure to include the tracking servers used within the apps. Implementations using first-party cookies will use servers like smetrics.mydomain.com and metrics.mydomain.com. Implementations not using first-party cookies need to have tracking servers ending in "omtrdc.net". If you have a server name ending in ".2o7.net", then you still need to migrate to RDC, so stop here and get this prerequisite done. You can also check your current Adobe Analytics implementation with the debugger. AAM partner profile (if applicable): If you also have Adobe Audience Manager, you need to supply your partner profile. This is probably the most complicated piece of data to get. If you have configured it in the doPlugins section, with a call to s.AudienceManagement.setup(), it is the “partner” parameter. If the previous sentence sounds foreign to you, another place to find it is using your browser’s web developer’s tools. Select the option to see the dynamic code of the page (not the static code downloaded from the server). In the code is a hidden iframe near the bottom. The domain of the iframe’s URL will be something like fast.xyz.demdex.net. Again, what you need is this xyz. IP obfuscation: Check if your report suite has IP obfuscation. You can check it in the Analytics admin section, under Report Suites and General Account Settings. Once you've met the prerequisites and gathered the required information, you can request the provisioning. To do so, visit the Marketing Cloud Integrations Provisioning Form page and populate the form, which takes just a few minutes. Provisioning can take 5 to 7 business days to complete. Once completed, you can get start creating audiences and A4T activities. If you have any questions about this content or want to learn more about either of these integrations, join our community forums. There you'll be able to ask questions and participate in discussions with other practitioners.